Little Rock, Arkansas – Wendy Carter has been invited by the American Association of Breast Care Professionals (AABCP) to serve on a newly formed Professional Identity Committee and assist in its efforts to promote the important role of certified mastectomy fitters in the medical community. In addition to raising awareness, AABCP’s goals for the Professional Identity Committee include defining the role of a post mastectomy fitter, identifying educational requirements for the position, and establishing a standard of care for post mastectomy patients. The committee plans to host quarterly conference calls leading up to a summit event in 2017. Carter has been with ContourMed for three years. 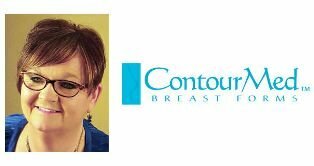 She currently serves on the American Board of Certification, which establishes certification tests for mastectomy fitters and accreditations for mastectomy facilities. She has 29 years of experience as a nurse in women’s health care, devoting the last 16 years of her career to working with mastectomy patients and focusing in orthotics and prosthetics.